This weekend the boys head off to Darwin for a Taekwondo Championship - they look forward to this weekend, more about the time they get to spend together than the actual competition, though they enjoy that as well. Meanwhile the girls and I are at home - our plan was to have a movie-fest but I think that will be replaced with going to the drive-in movies instead. Highlight for me this week was that a friend came to help me sort and declutter my laundry cupboards. We took everything out of the cupboards, dumped it all on tables out on the veranda, and then piece by piece decided it if was beautiful and I loved it, or if it was useful for my stage of life now. And the very exciting news is that I still have one small empty cupboard! I now have my sights on another clutter mess in my house! This week I'm sharing a blog post on Setting your Children up to Succeed, you can read it below or click over and read on my blog. No matter what our kids are doing we have an opportunity to help them succeed. What does it mean to succeed? Our world considers success as winning – being the best, not failing. That is not what I’m talking about. Regardless of our children’s capabilities – either taught or natural giftings – our children can succeed within themselves. They can win in terms of choices they make – their attitudes and actions stemming from their attitudes. It takes self-control to have success in these areas. It takes self-control to do the right thing, with a good attitude. When our children are in training they need our help as they lack the very self- control they need. This is where we can set our children up to succeed. It doesn’t matter how old they are – toddlers through to teenagers, if they are yet able to do the right thing in a particular situation – they need our help. We can see boundaries as something that stops you from doing something – or we can see them as something that keeps us within our ability to succeed. If my toddler can’t play nicely with someone, or their playmate can’t play nicely with my toddler, I make my toddler play close by. This is a boundary. Not to limit their fun – but to put them in a place where they will have fun, and more importantly in this situation – safety. If my teenager can’t use technology wisely, then I place guidelines and limitations around them – not to hinder them, but to help them keep this aspect of life in balance. We can have boundaries that are permanent daily fixtures. Our kids can’t do this. Our kids can only go so far. We can also have boundaries that are appropriate for a situation. Today, for this moment, this is what is going to happen. I remember driving home from town with three very tired out-of-sorts kids (this often happened as we headed home at rest / nap time) and I would get my kids to sit on their hands. This was a boundary, a limitation. They were not capable to use their hands lovingly at that particular moment so they lost the freedom of using their hands altogether – they sat on them till we got home. They weren’t in trouble – they just had a limitation on the use of their hands! We have to be creative at times. Setting boundaries with our kids takes our time and effort. First we have to think about what our kids can do, and do well. What can they do well morally, emotionally, intellectually, socially, physically? We also need to think about the issues they’ll have trouble with. Will they be rough in play? Will they feel left out? Will they not be able to climb like all the other kids? We then need to think through what we can do to help them. But setting boundaries isn’t about setting down a rule and our children obeying it. The whole reason they need a boundary in the first place is because they lack self-control and the ability to do well by themselves. Once a boundary has been set, we then need to check the boundaries as time goes on – check that they are working. If our child is still making unwise choices we need to make some changes. Parenting is never hands off – even when we have good and healthy boundaries around our kids. When our children face situations that they aren’t ready to handle on their own they need us on the sidelines, teaching, prompting and encouraging. Remember we are talking about kids are who not able to make wise choices on their own in a particular situation. This is not a bad thing – this is normal. Every child is in this situation - in every part of their life - at some stage. 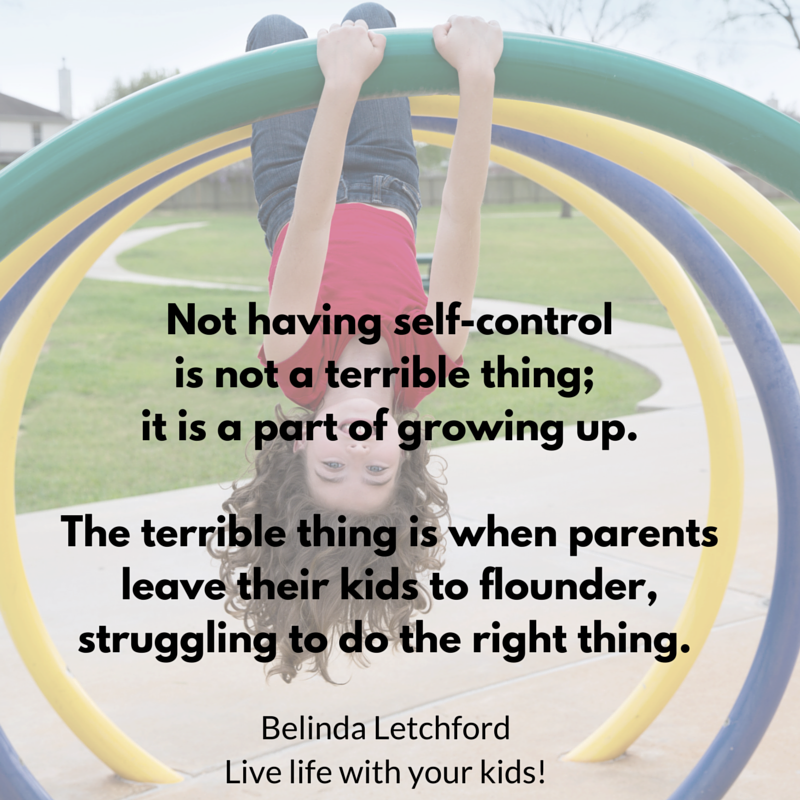 Not having self-control is not a terrible thing – it is a part of growing up. The terrible thing is when parents leave their kids to flounder, struggling to do the right thing. When you are either out and about or about to go and play at home – you can give them prompts or reminders of the wise choices they can make. You of course can also remind them of the consequences that will happen if they make poor choices. My kids often lost the privilege of being able to play if they couldn’t play kindly, they lost the privilege of talking if they couldn’t talk kindly or respectfully, they lost the privilege of a treat if they weren’t grateful or respectful etc. But the hope is that if you teach, train, practice during your regular day, you will be able to win over your child’s heart (their choices) when you want them to do something particular. Our children need our encouragement – our praise for when they do a good job. We need to see the choices they make is the task at hand – this is what we need to praise them for. We need to praise them for choosing to walk not run, for using their manners and waiting before interrupting, for making the loner feel a part of the group, for cleaning up after the party without being asked. When our children make wise choices that show self-control and respect (or any character trait), we need to recognise it. This means we need to be around our kids to see them do well. Sometimes life is just too hard – the expectations are too high – the idea of success is just not going to happen. The toddler may lose it, the teen may react angrily – each child will have their own expression of ‘this just ain’t gunna happen!’ Time to retract – not time to surrender – but certainly time to draw back and regroup. We need to give our children a way to escape. At times like this we need to remind ourselves of our goal: Our goal is to have morally mature children, children who can make wise choices throughout their day. Our goal is not to have children perform making it look like our family has it all sorted – that is performance parenting and pleasing others and it will only do damage to our kids hearts. We need to recognise the signs – that with all the boundaries, the encouragement and the help we can offer, right now, today, in this situation, this child is not going to succeed. I need to do something else. We might change what we were doing so we can spend some time engaging with them. At this point though we cannot let our child – of whatever age – keep going the way he is. Parental intervention is required!! This doesn’t mean we need to tell the child off, it doesn’t mean the child needs a consequence – it does mean the child has reached the end of their ability to succeed and we need to make a decision – what are we going to do next. We can also teach our children to recognise these signs and come and let you know that they need help. I taught one of our children a little sign that they were to use when they knew they needed help. This sign would signal to me that they needed my attention NOW. I gave them the commitment that I would be that quick in responding. As my children have grown up and have more opportunities to be away from the family on their own, they always have the freedom to phone or text “help” as they may find themselves in a situation that is bigger than their ability to handle. We’ll be there – or we’ll arrange for someone else to be there for them as quickly as we can. That is what parents do!! This doesn’t have to be ‘big’ issues like drugs or parties out of hand – but our kids can feel overwhelmed in many situations – and if we have established the pattern of being there to help them in their young years – they will turn to us for help – be it intervention, or most likely help and support when they are older. Am I available to my kids – whatever I am doing, I am always a parent. Am I alert – watching and noticing growth, maturity as well as struggles – I need to see things happen when they happen in order to help my child. Am I diligent - even when it is hard, I am the parent. 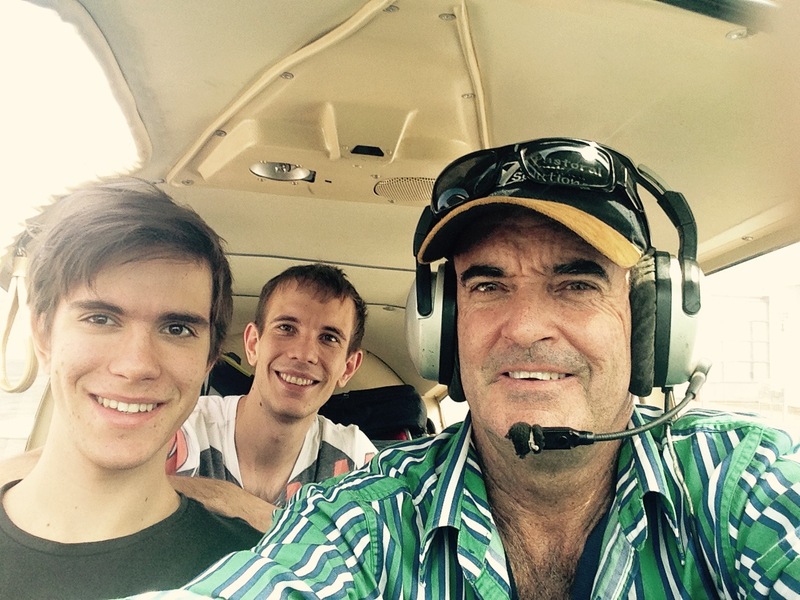 Am I compassionate and kind – understanding that our children are growing into maturity – that it is a journey. They aren’t out to get us – they are maturing! The tone of our voice and our body language can be kind and encouraging or annoyed and antagonistic. We need to check this regularly. We need to remember that we are here to help our children grow, mature, and have success – not just in the physical realms of skills but also in the inner heart issues of choices and attitudes. Teaching methods that work in a homeschool: overview of some teaching methods that worked in our homeschool.